Bahujan Samaj Party candidates Satish Chandra Misra and Ashok Kumar Siddharth today filed their nomination papers for the biennial Rajya Sabha polls scheduled for next month. Three other BSP candidates, Dinesh Chandra, Atar Singh Rao and Surendra Kashyap filed their papers for the Legislative Council elections. Senior party leaders, including leader of opposition in the Legislative Assembly, Swami Prasad Maurya were present during the filing of nominations in the Central hall of Vidhan Bhawan. Asked why BSP and SP had not given tickets to Muslim candidates in these elections, Misra said Munkad Ali from BSP is already in the Upper House to represent the community. Maurya congratulated the party chief for giving equal opportunity by granting representation to members of all castes in the biennial elections. While Misra represents Brahmin community, Ashok Kumar Siddharth, former MLC, is a Dalit from Farrukhabad and has been involved in organisational work of the party. BSP nominees for Legislative Council, Athar Singh Rao of Meerut and Dinesh Chandra of Sultanpur are Dalits. Suresh Kashyap represents OBC. Polling for biennial election to 11 Rajya Sabha and 13 Uttar Pradesh Legislative Council seats, if required, will be held on June 11 and June 10 respectively. As per the present party-wise strength in the 403-member UP Assembly, SP can win six Rajya Sabha and seven Council seats with 229 members in the Vidhan Sabha. Samajwadi Party candidates Amar Singh, Beni Prasad Verma, realtor Sanjay Seth, Sukhram Singh Yadav, Reoti Raman Singh and Vishwambhar Prasad Nishad and a seventh candidate Surendra Nagar have alreay filed their nominations papers for Rajya Sabha. Eight SP candidates for the UP Legislative Council - Balram Yadav, Shatrudra Prakash, Yashwant Singh, Bukkal Nawab, Ram Sundar Das, Jagjivan Ram, Kamlesh Pathak and Rajvijay Singh - have also filed their nominations. 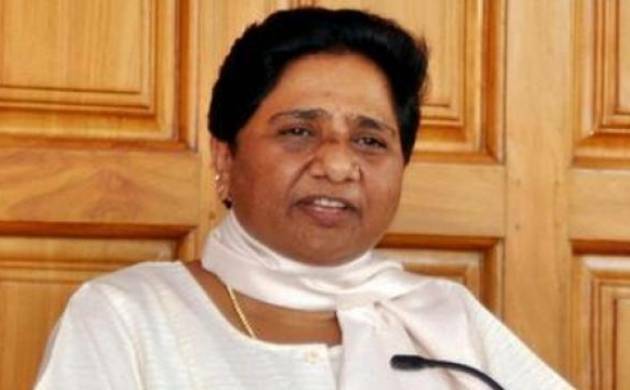 BSP, with 80 MLAs, can easily win two seats each in Rajya Sabha and the Legislative Council, with additional votes to spare. The BJP, which has 41 MLAs and one of its alliance partner Apna Dal, can get one candidate through to the Rajya Sabha. It is yet to announce its candidate. Congress with 29 MLAs and Rashtriya Lok Dal (RLD), which has eight MLAs, has not announced any candidates yet.